"A HOME WITHIN A HOME." Our homes blend modern styles and classic elements with unparalleled craftsmanship. We deliver superb construction, materials, and design that result in a perfect dream home. Dinali multi-family homes offer streamlined contemporary designs that offer luxury living to all of the occupants. Open floorplans with floor to ceiling windows frame beautiful city views. 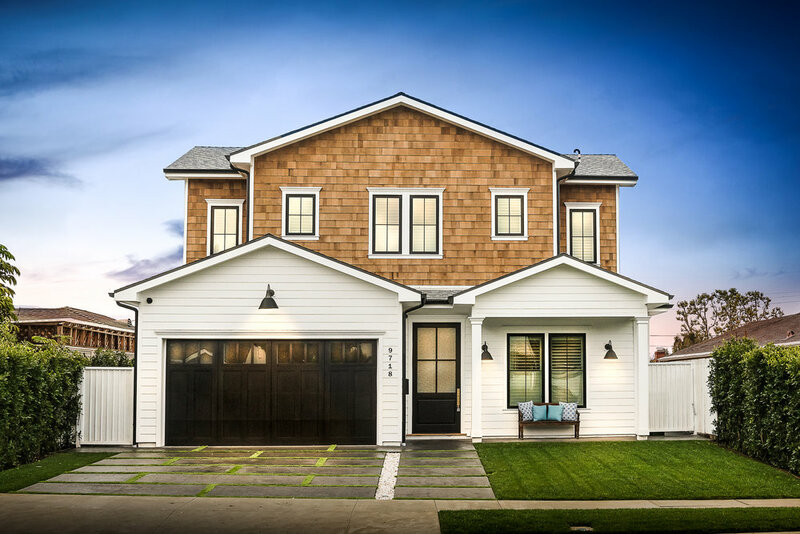 Located in the heart of Studio City, nearby Ventura Boulevard, this Newly Built Construction home boasts over 5,400 sq.ft. A Circular Driveway provides great curb appeal as you entire this 5-bed, 7-bath home with designer finishes and custom light fixtures featured throughout. This modern styled home adds charm into every single room. As you step inside you will be greeted with the formal living room that includes a fireplace, a perfect place to spend time with friends and family on those cold winter nights. 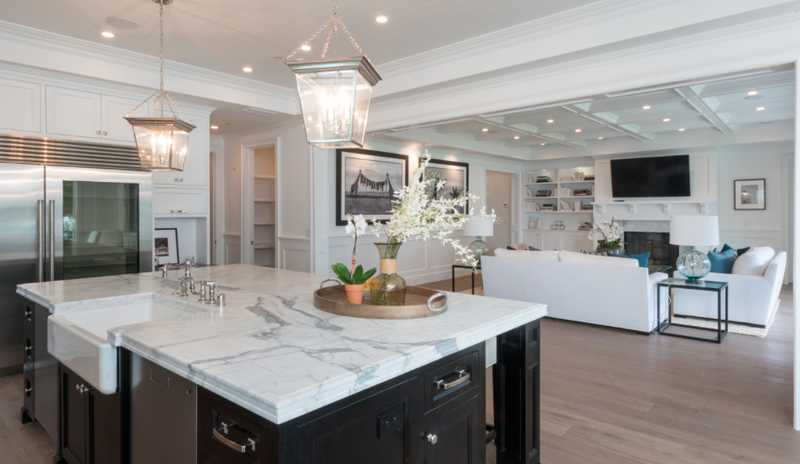 The Gourmet chefs kitchen offers two oversized center islands, providing an abundance amount of space for hosting dinner parties. It includes a butlers pantry that adds additional cabinet space. For all the movie-lovers is a private 8-seater state of the art Theatre off of the family room. As you walk up towards the second story of the house you will be invited into the loft/den area. The master suite includes a built-in fireplace, spacious walk-in closet, along with a beautifu bathroom with a double vanity and a freestanding bathtub. A separate laundry room is located upstairs. Double doors open the family area into the backyard that is perfect for entertainment and outdoor dining. It includes a pool & spa, BBQ area, and a guesthouse. Near Beeman Park, fine dining, shopping, & entertainment. Craving respite from the city? 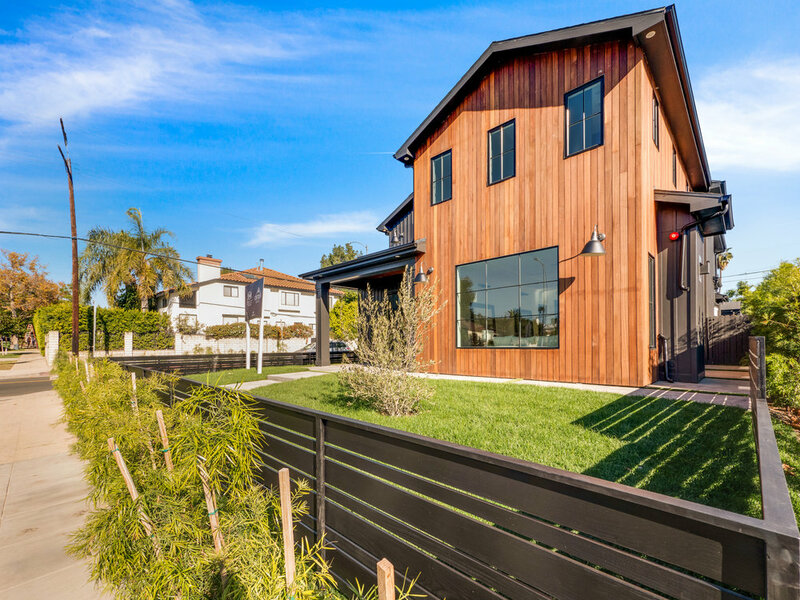 Welcome to this newly built modern farmhouse retreat, just a stone's throw from the pulse of Hollywood. Blurring the boundary between indoors and outdoors, the five-bed, six bath, smart home lets the landscape and natural light flow through. The open concept perfectly marries classic architecture, wide-plank oak floors, tall doors and beautifully appointed spaces with a stunning palette of chic amenities, gold, and brass finishes, and black shiplap accent walls throughout. Designed for entertaining, the gourmet kitchen and stunning family room both open onto impeccably manicured grounds with swimming pool, pool house & barbecue. A light and airy loft and views of the Hollywood Hills greets you atop the staircase. Relax in the warm and inviting master with fireplace, dual closets, private terrace, & spa-like master bath. Down the hall are the remaining bedrooms, each with a private bath. Enjoy the best of both worlds in this Miracle Mile farmhouse. Designer custom new construction home boasting 4800 sq.ft. of luxury living in a private and quaint Footbridge pocket of Studio City, minutes away from Ventura Boulevard. Corner 8000 sq.ft lot, architecturally thought out floor plan with 5 bedrooms and 5.5 bathrooms, media room, upstair loft and striking details at every corner. Aluminum clad windows, smart house, and high ceilings. Extravagant kitchen features butlers pantry, dual wolf oven/range, eating area, oversized center island, built in appliances surround the abundant cabinet and counter space. Cozy family room and formal living/dining area. Backyard features lush landscaping and trees, sparkling pool & spa with waterfall and separate patio area w/bbq. Master bedroom retreat with Dual walk in closets leads you into beautiful master bathroom w/dual sinks, large shower and stand alone tub. Newly constructed & custom designed 5BR/6BA Cape Cod located in the heart of Rancho Park. High-end finishes, Control4 Smart home automation & stunning amenities. Enter through the formal living room w/ fireplace that opens to a formal dining w/ custom glass walk in wine fridge. Family room with cozy fireplaces opens out to a lush backyard w/ sparkling swimming pool, spa & BBQ area. Kitchen is complete w/ breakfast area, large center island custom cabinetry w/ top of the line appliances. Multi-Zone Heat/AC, hardwood floors, built-ins & custom wood work. At the top of the stairs a nice loft, play area or office. Large Master has high ceilings, fireplace, oversized spa like bath w/ free standing tub, dual showers & custom closets w/ built in shelving. This house has 4 bedrooms upstairs & 1 downstairs, all w/ en-suite bathrooms. Property sits on a 6,597 sqft lot & is walking distance to trendy shops & restaurants.